BRANDON, MB – A Brandon University (BU) professor has published a new book that gives parents and teachers unpretentious and easy-to-follow help in teaching grammar and punctuation to people of all ages. 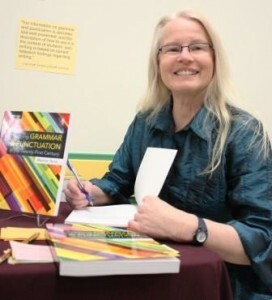 Published by Oxford University Press, Teaching Grammar and Punctuation in the Twenty-First Century is available online at amazon.ca, and locally at the BU campus bookstore. The online companion to the book has curriculum guides for all provinces to assist users in applying the knowledge to their particular audience.